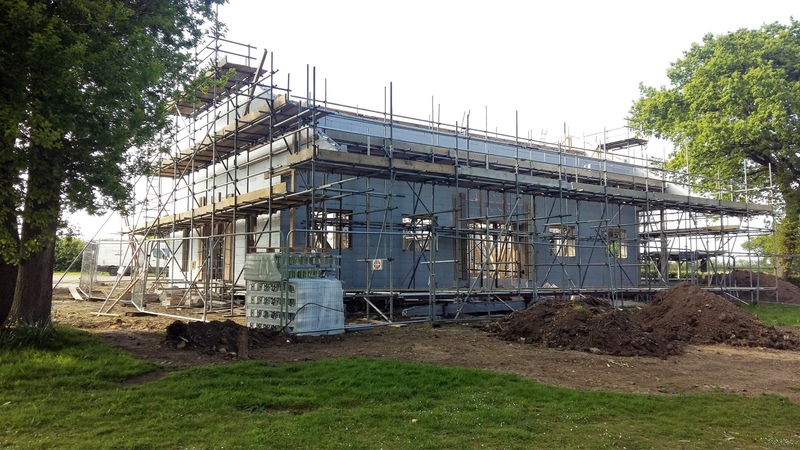 Looking to replace a lakeside café in Dorking that was ravaged by fire, this client decided on using the Thermohouse low energy building system to replace the burnt out structure, aiming for a reduction in energy requirements and the provision of a fresher, healthier, controllable environment within the new café. 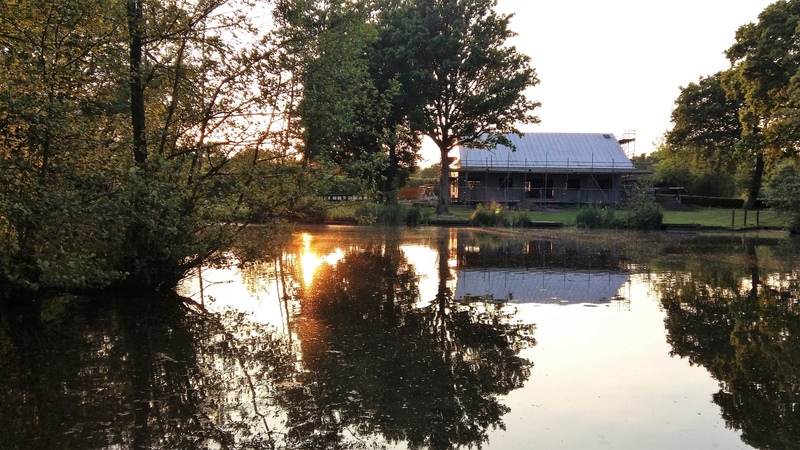 The new café would provide visitors to the lake and grounds a place to relax. 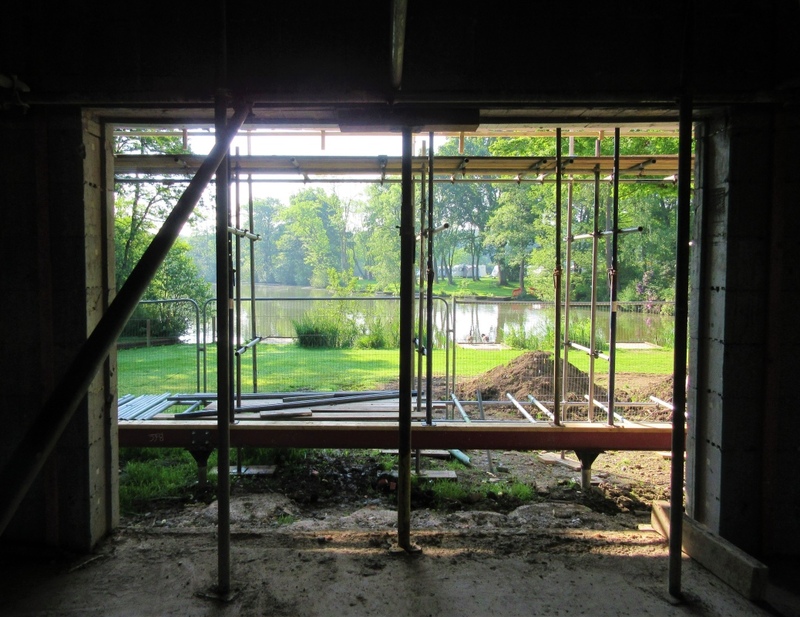 Due its proximity to the lake, the entire structure was required to be built upon raised screw piles. 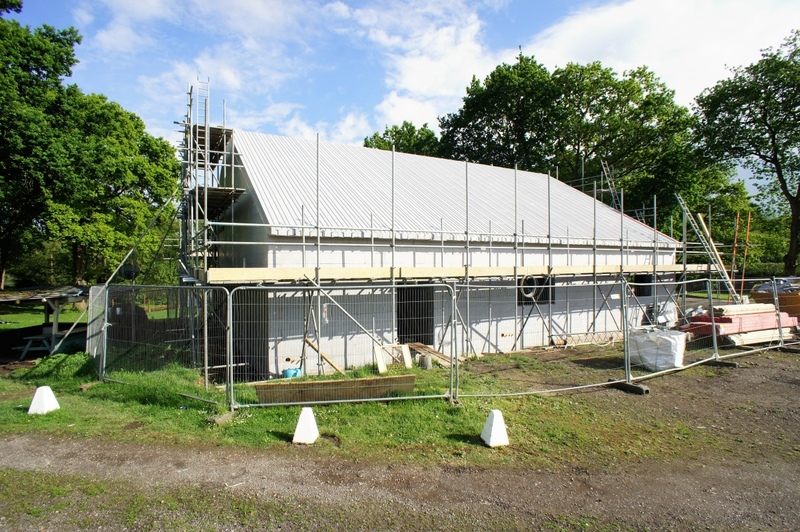 The proposed design featured a three-meter recessed front elevation and included a large terraced external seating area, housed under the main roof structure. 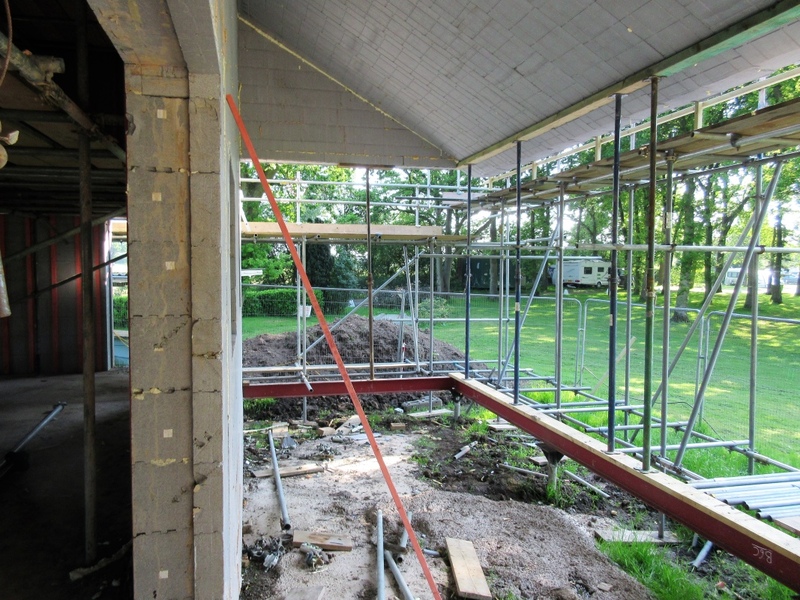 The new elevated structure having a total floor area of approx. 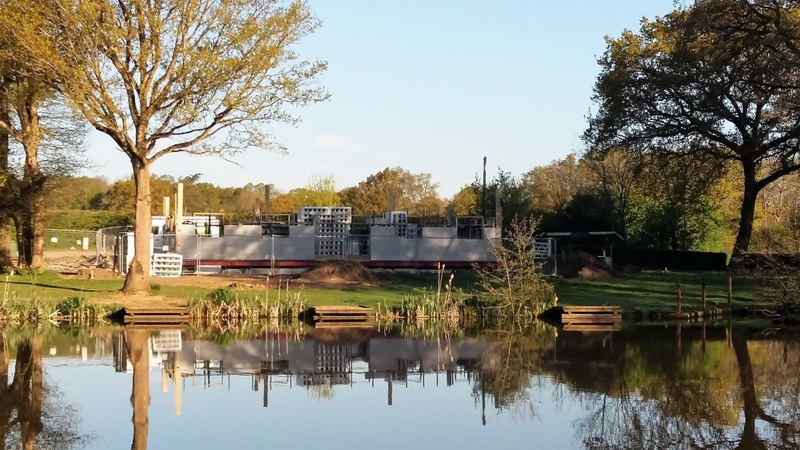 220m2 including terrace was constructed on raised screw piles with a structural steel ring beam and internal support steels for the construction of the new ICF structure above. 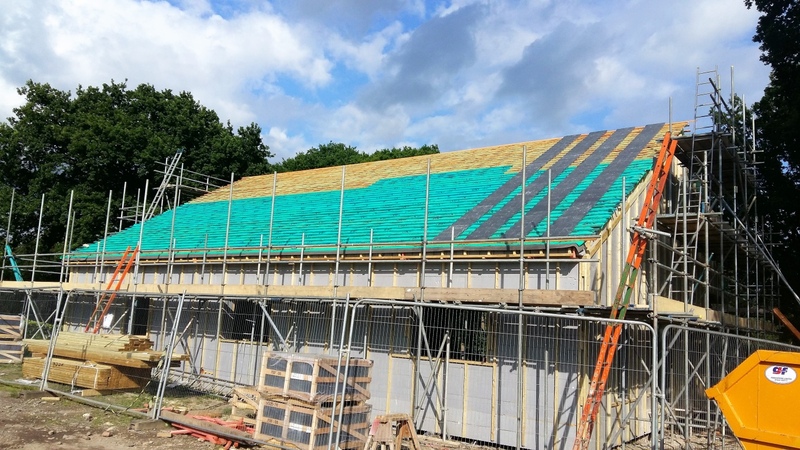 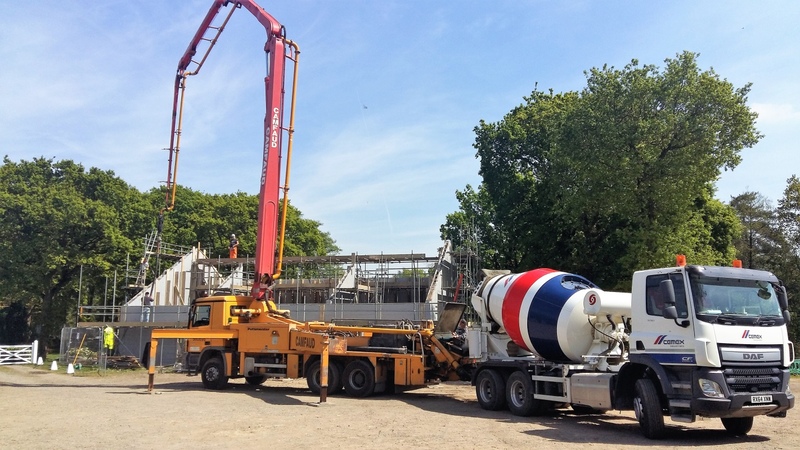 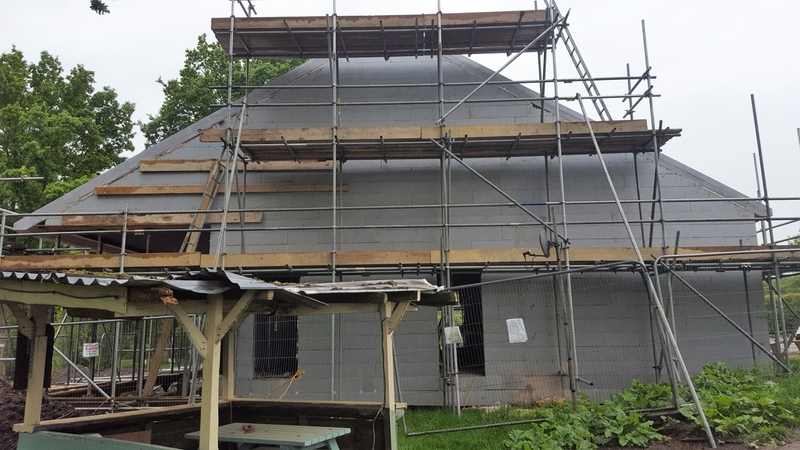 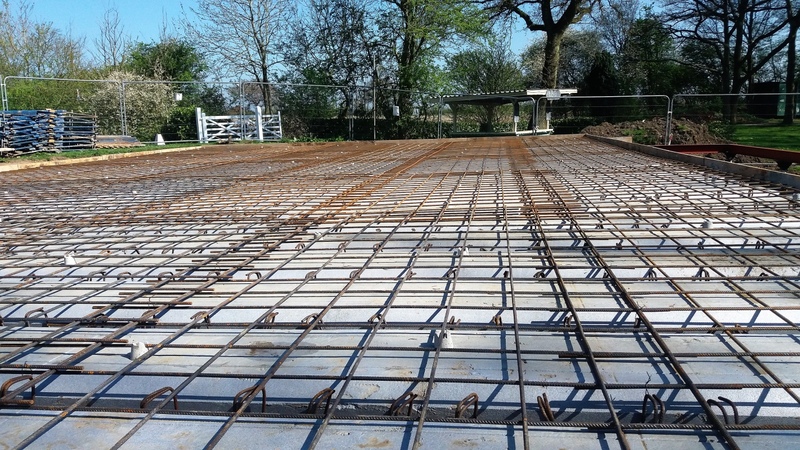 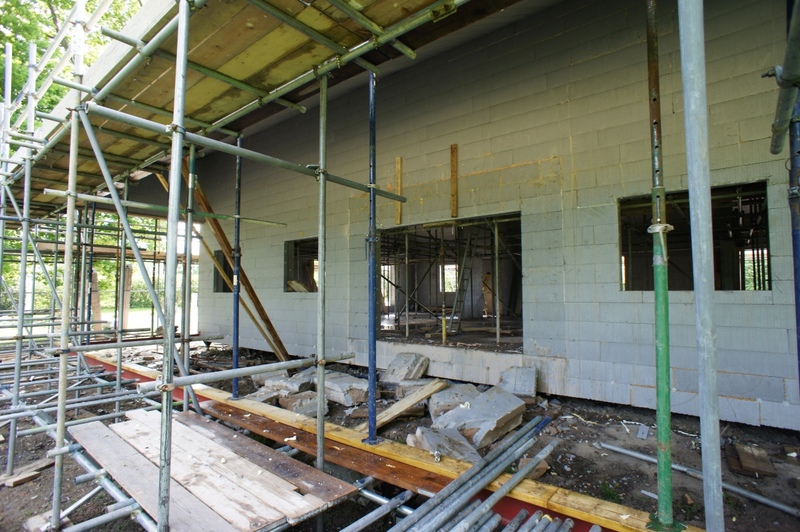 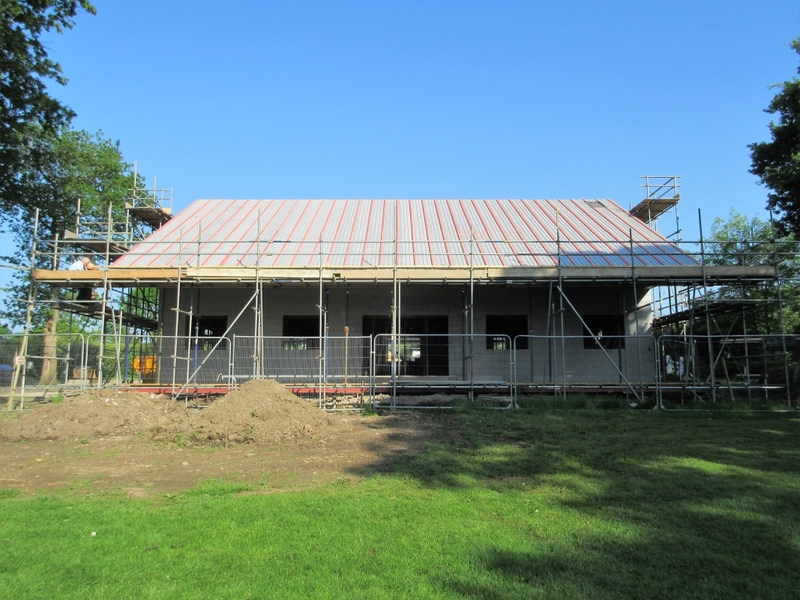 Thermohouse were contracted to supply and install the structural shell of the building including the Thermofloor as a suspended floor between the support steels with a reinforced concrete structural screed on top to form the insulated ground floor. 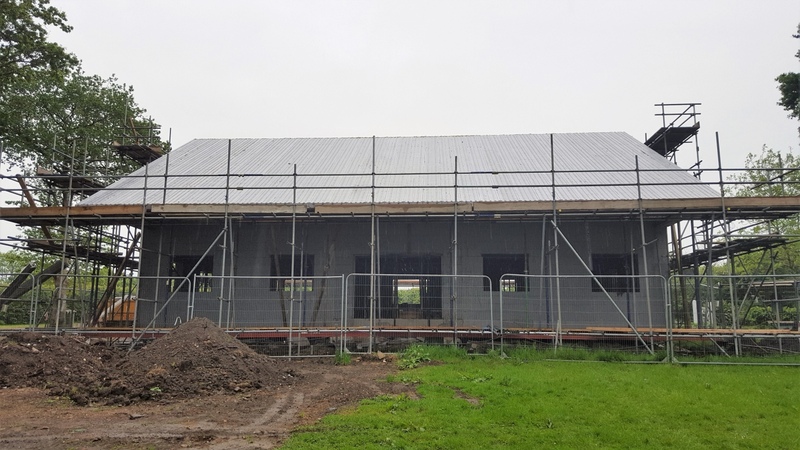 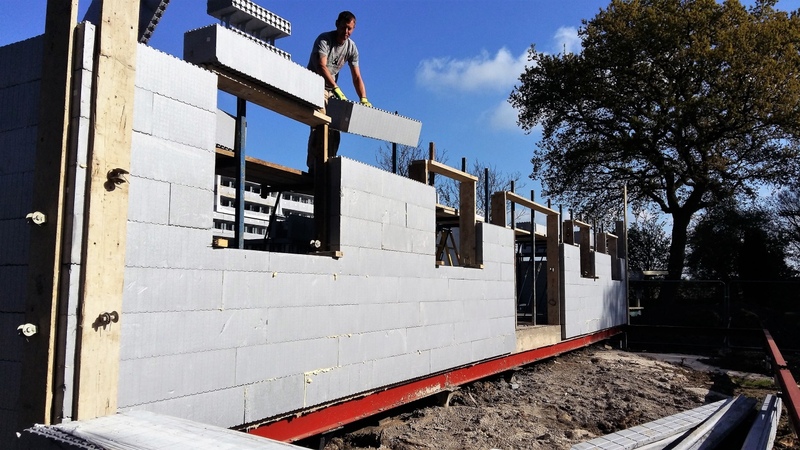 The external walls and some internal load bearing walls were raised to roof level and the envelope of the building was completed using the Thermoroof passive roofing panels. 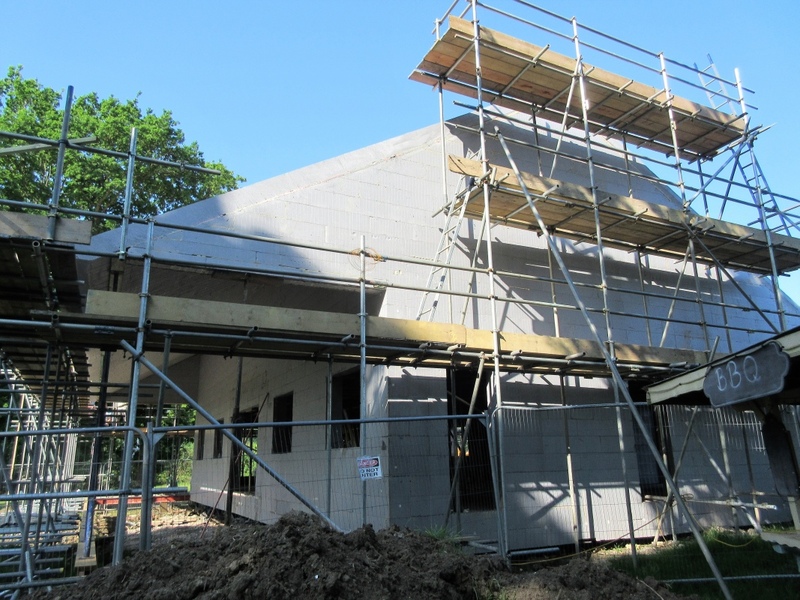 Bakersgate Developments is a multi-discipline construction project management company based in Surrey in the South East of England.